Have you ever had water damage in your home? We have worked with many clients who had water damaged homes. We know it can be a stressful time, but we are prepared to tackle the damaged property and restore your home to it’s previous state. Although we do most of our water damage restorations in Fayetteville, Newnan, and water damage restoration in Peachtree City, this was a loyal customer who we love to serve. 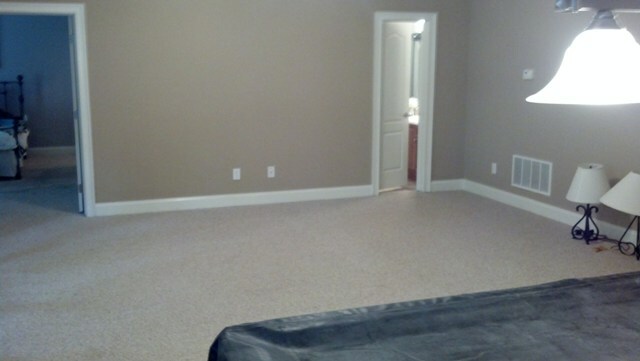 In this post, we are featuring a water damage restoration project we did in Villa Rica, GA. The problem was that a condensation line clogged and flooded the basement. Condensation lines are vital parts of air conditioning units. They carry moisture from the air that condenses in the line to the floor drain. 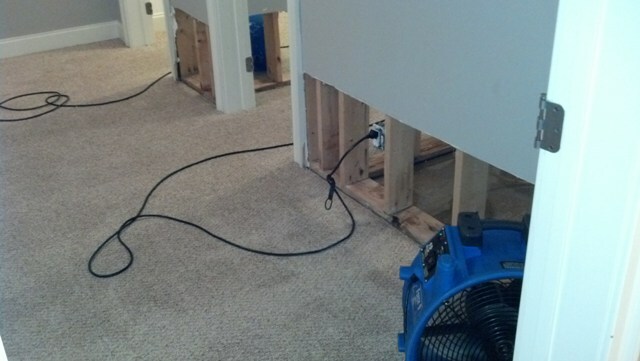 Because her condensation line was broken, there was extensive water damage present in the basement. It had been leaking a while so we proposed extracting all the carpet, removing the pad. We also planned to remove the deteriorated walls and trim and set equipment to dry the balance of the structure. As you can see from the pictures, there were mold spots from the constant moisture caused by the leaks. In order to fix this, we removed the drywall and trim first. We then extracted the carpet and pad. 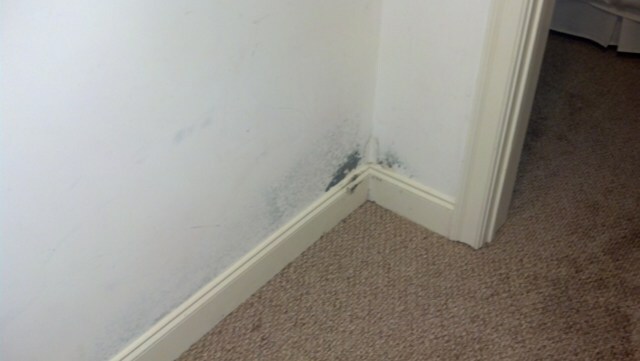 The pictures do not show it well, but the carpet was affected by the moisture from the leaking condensation line. Then we removed the pad. We set up equipment to dry the remaining structure. We were able to dry the structure in four days. This was a returning customer. We performed a water damage repair for Mary Lynn while she was living in Peachtree City about 2 years ago. She now lives in Villa Rica, but because she was so satisfied with our work, she called us again. This job took place on Labor Day weekend. Although it was a holiday, we realized the urgency of the situation and did the job for Mary Lynn that weekend. We care about our customers and their homes, and we know what time can do to water damaged property, so we always do our best to complete the job as soon as possible! 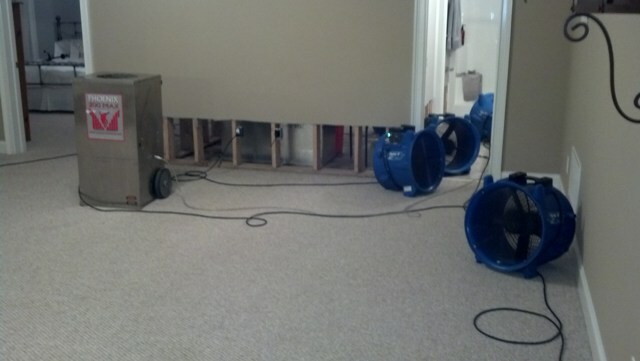 If you have a wet basement in Peachtree City or the surrounding areas, call us today!